In Japan, about 80% of chopsticks are manufactured in Obama city in the Fukui prefecture. About 45 miles east lies Kyoto prefecture, one of Japan's most traditional cities and the home of many traditional crafts. Among these, Nishijin ori is widely regarded as one of the nation's foremost achievements in any craft. The history of Nishijin ori - silk cloth produced in the Nishijin district of Kyoto - goes back to the sixth century, when silk farming and silk weaving were introduced in the western part of Kyoto by the Hata family, who may have originated from China. The Heian period saw the formation of an official weaver's guild, but civil strife during the eleven years of the Onin Wars (1467-77) laid Kyoto to waste. Some weavers fled to the port town of Sakai, where they studied Ming weaving techniques. When calm was restored to Kyoto, the weavers returned. Some settled in the eastern part of Kyoto known as Tojin, and began weaving habutae, a lightweight plain-weave cloth, and nerinuki, a cloth using raw silk and glossed-silk thread. Other weavers who settled in western Kyoto, an sector called Nishijin, focused on twilled cloths, the foundation of today's Nishijin ori. In the nineteenth century a delegation of Nishijin weavers traveled to Europe to learn European methods of weaving Jacquard and integrated Jacquard techniques into their weaving back in Japan. Woven fabric production in Nishijin has spurred many varieties and forms, including the tightly woven tsuzure, the brocade nishiki, yarn-dyed tatenishiki, nikinishiki, donsu, shuchin, shoha and futsu. The cloths produced in Nishijin have earned international renown, reflecting an endless wealth of designs and techniques. Obi and kimono fabrics are still being made as they were in the past. The variety is as great as the artistry and technique are brilliant. 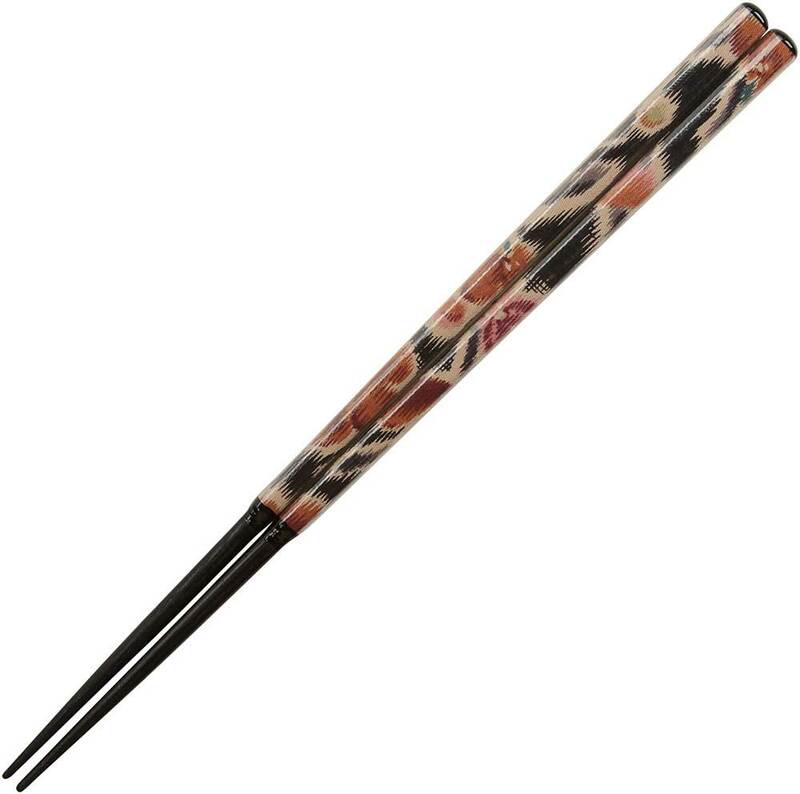 With the close proximity of Kyoto to Obama, the natural combination of Nishijin fabrics applied to fine chopsticks evolved. 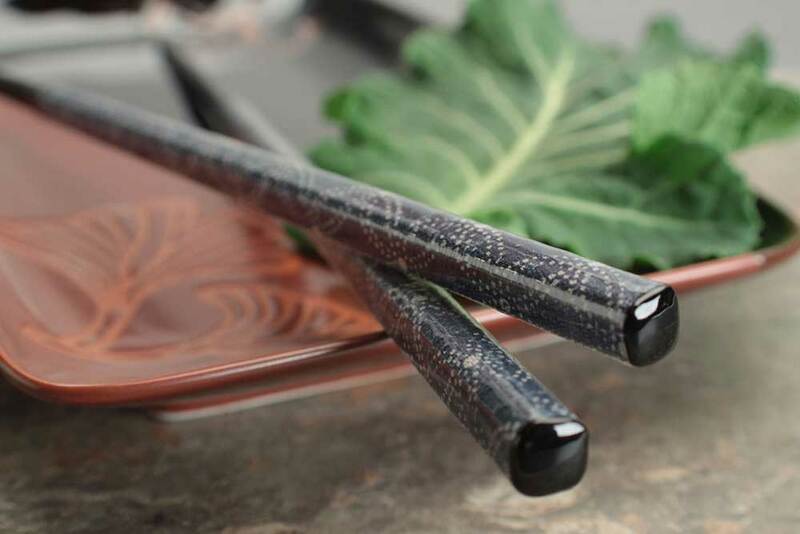 Each pair of chopsticks features a style and pattern of Nishijin ori fabric wrapped perfectly to black wooden chopsticks. 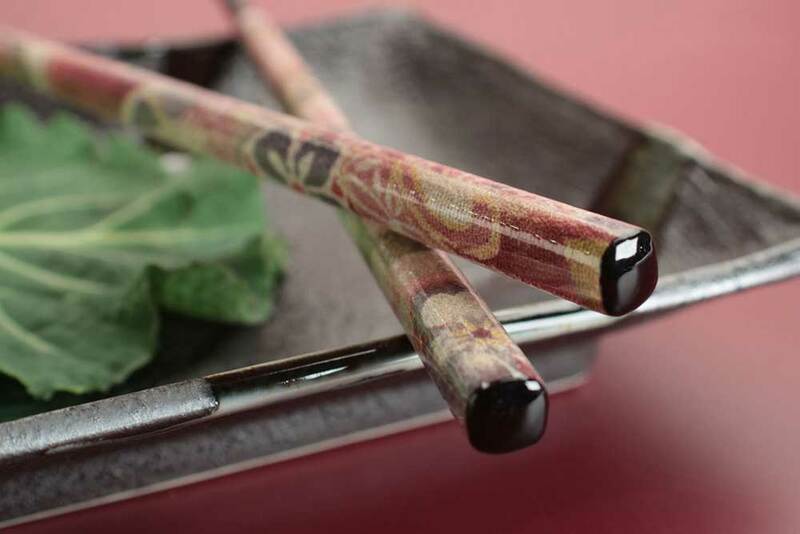 The fabric is sealed for protection from food and water stains that makes for a very durable yet artistic pair of chopsticks. Each pair is a true work of art and presents a truly unique presentation at the dinner table. 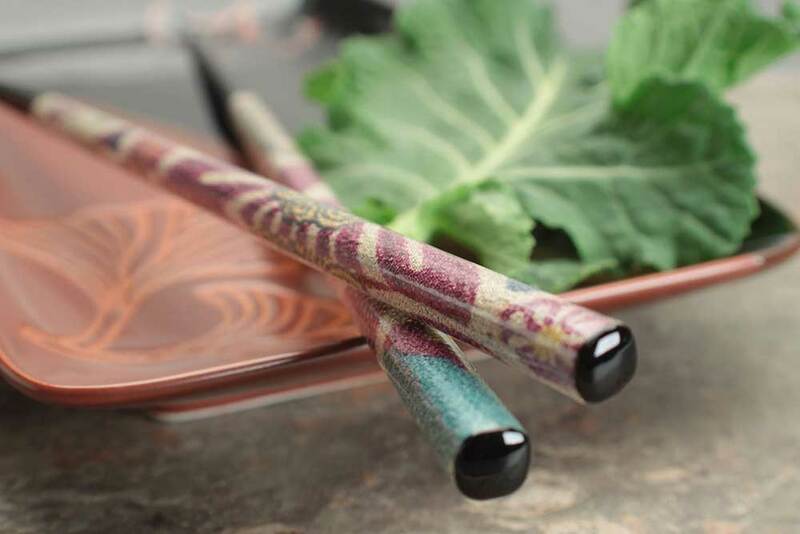 See our complete selection of Nishijin ori chopsticks at EverythingChopsticks.com. Enjoy their beautiful artistry.